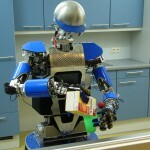 Early risers may think it’s tough to fix breakfast first thing in the morning, but robots have it even harder. Even grabbing a cereal box is a challenge for your run-of-the-mill artificial intelligence (AI). Frosted Flakes come in a rectangular prism with colorful decorations, but so does your childhood copy of Chicken Little. Do you need to teach the AI to read before it can grab breakfast? Maybe not. 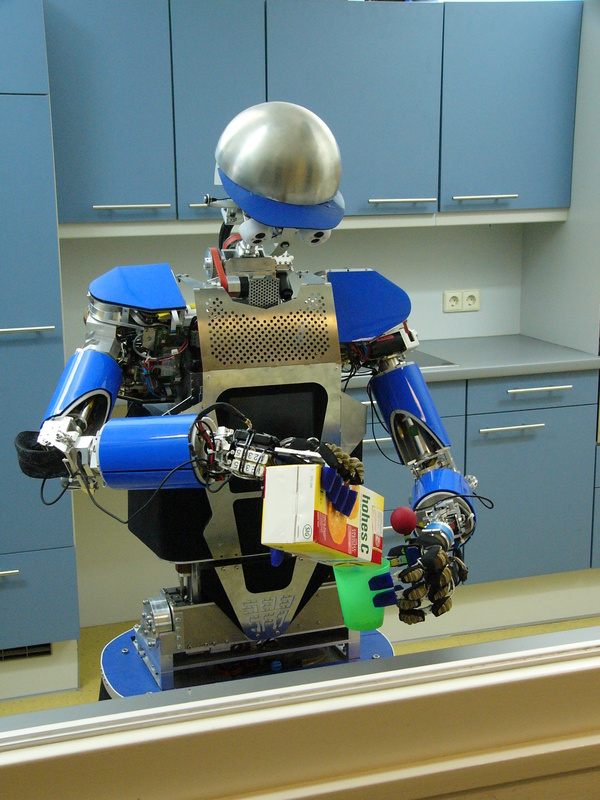 A team of European researchers has built a robot called ARMAR-III, which tries to learn not just from previously stored instructions or massive processing power but also from reaching out and touching things. Consider the cereal box: By picking it up, the robot could learn that the cereal box weighs less than a similarly sized book, and if it flips the box over, cereal comes out. Together with guidance and maybe a little scolding from a human coach, the robot—the result of the PACO-PLUS research project—can build general representations of objects and the actions that can be applied to them. “[The robot] builds object representations through manipulation,” explains Tamim Asfour of the Karlsruhe Institute of Technology, in Germany, who worked on the hardware side of the system. Read the rest of this news story on Spectrum’s website [html]. Visitors to aerospace engineer Haim Abramovich’s office at the Israel Institute of Technology, in Haifa, once asked if they could run a freight train over his latest invention. Abramovich didn’t blink: The visitors were from Israel’s National Road Company, and they wanted to know whether his piezoelectric material—which he developed to warp aerodynamic surfaces at the command of an electric current—would instead generate power if embedded beneath rumbling roads and rails. Abramovich, who had just launched start-up Innowattech to develop wearable microgenerators for powering mobile devices, was convinced the road and track were better homes for his technology. So the company “turned around 180 degrees,” he recalls, and figured out how to embed piezoelectric material beneath a road. Now, along with several other inventive start-ups, Innowattech is poised to harvest some of the spare kinetic energy of the world’s moving vehicles—call it the kinetic surplus. 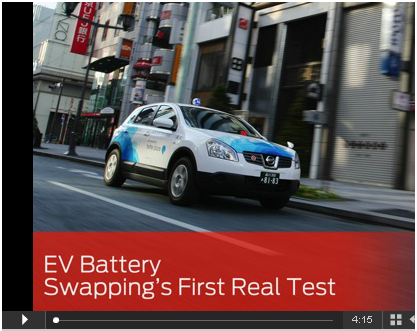 Read the rest of this news story on IEEE Spectrum’s website: [html] or here [pdf].